Kids Gift Set Just $29.54! Down From $62! PLUS FREE Shipping! You are here: Home / Great Deals / Christmas Deals / Kids Gift Set Just $29.54! Down From $62! PLUS FREE Shipping! 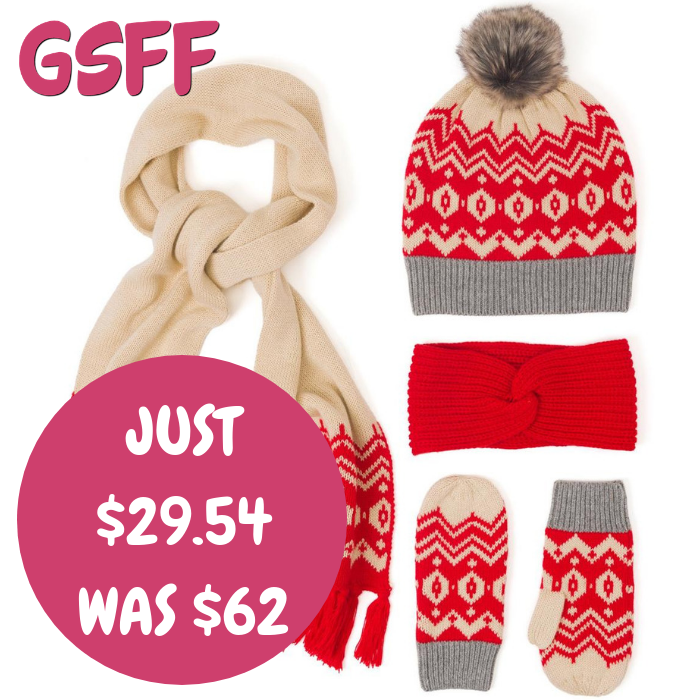 Right now at Crazy 8, you can can score this Kids Fair Isle Gift Set for just $29.54 down from $61.52 PLUS FREE shipping! If you are looking for a kid’s present this Christmas, then you need to check this out! It’s an ideal set for this cold season! PLUS, it’s on a great deal. What are you waiting for?